If the Norman conquerors stripped the English nation of its liberty and many temporal advantages, it must be owned that by their valor they raised the reputation of its arms and deprived their own country of its greatest men, both in church and state, with whom they adorned this kingdom; of which this great doctor and his master Lanfranc are instances. 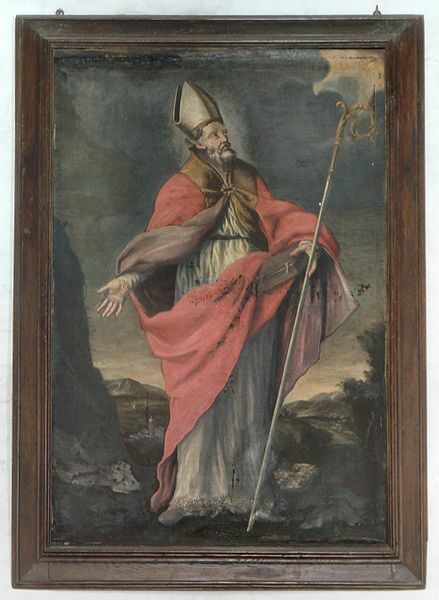 Saint Anselm was born of noble parents at Aoust, in Piedmont, about the year 1033. His pious mother took care to give him an early tincture of piety, and the impressions her instructions made upon him were as lasting as his life. At the age of fifteen, desirous of serving God in the monastic state, he petitioned an abbot to admit him into his house; but was refused out of apprehension of his father’s displeasure. Neglecting, during the course of his studies, to cultivate the divine seed in his heart, he lost this inclination, and his mother being dead he fell into tepidity; and, without being sensible of the fatal tendency of vanity and pleasure, began to walk in the broad way of the world: so dangerous a thing is it to neglect the inspirations of grace! The saint, in his genuine meditations, expresses the deepest sentiments of compunction for these disorders, which his perfect spirit of penance exceedingly exaggerated to him, and which, like another David, he never ceased most bitterly to bewail to the end of his days. The ill-usage he met with from his father induced him, after his mother’s death, to leave his own country, where he had made a successful beginning in his studies; and, after a diligent application to them for three years in Burgundy (then a distinct government) and in France, invited by the great fame of Lanfranc, Prior of Bec, in Normandy, under the Abbot Herluin, he went thither and became his scholar. On his father’s death, Anselm advised with him about the state of life he was to embrace; as whether he should live upon his estate to employ its produce in alms, or should renounce it at once and embrace a monastic and eremitical life. Lanfranc, feeling an overbearing affection for so promising a disciple, durst not advise him in his vocation, fearing the bias of his own inclination; but he sent him to Maurillus, the holy Archbishop of Rouen. By him Anselm, after he had laid open to him his interior, was determined to enter the monastic state at Bec, and accordingly became a member of that house at the age of twenty-seven, in 1060, under the Abbot Herluin. 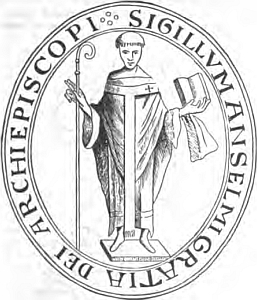 Three years after, Lanfranc was made Abbot of Saint Stephen’s at Caen, and Anselm Prior of Bec. At this promotion several of the monks murmured on account of his youth; but, by patience and sweetness, he won the affections of them all, and by little condescensions at first, so worked upon an irregular young monk, called Osbern, as to perfect his conversion and make him one of the most fervent. He had indeed so great a knowledge of the hearts and passions of men that he seemed to read their interior in their actions; by which he discovered the sources of virtues and vices, and knew how to adapt to each proper advice and instructions; which were rendered most powerful by the mildness and charity with which he applied them. In regard to the management and tutoring of youth, he looked upon excessive severity as highly pernicious. Eadmer has recorded a conversation he had on this subject with a neighboring abbot, who, by a conformity to our saint’s practice and advice in this regard, experienced that success in his labors which he had till then aspired to in vain by harshness and severity. Saint Anselm applied himself diligently to the study of every part of theology, by the clear light of scripture and tradition. Whilst he was prior at Bec, he wrote his Monologium, so called because in this work he speaks alone, explaining the metaphysical proofs of the existence and nature of God. Also his Proslogium, or contemplation of God’s attributes in which he addresses his discourse to God, or himself. The Meditations, commonly called the Manual of Saint Augustin, are chiefly extracted out of this book. It was censured by a neighboring monk, which occasioned the saint’s Apology. These and other the like works, show the author to have excelled in metaphysics all the doctors of the church since Saint Augustin. He likewise wrote, whilst prior, On Truth, on Free Will, and On the Fall of the Devil, or, On the Origin of Evil; also his Grammarian, which is in reality a treatise on Dialectic, or the Art of Reasoning. Anselm’s reputation drew to Bec great numbers from all the neighboring kingdoms. Herluin dying in 1078, he was chosen Abbot of Bec, being forty-five years old, of which he had been prior fifteen. The abbey of Bec being possessed at that time of some lands in England, this obliged the abbot to make his appearance there in person at certain times. This occasioned our saint’s first journeys thither, which his tender regard for his old friend Lanfranc, at that time Archbishop of Canterbury, made the more agreeable. He was received with great honor and esteem by all ranks of people, both in church and state, and there was no one who did not think it a real misfortune if he had not been able to serve him in something or other. King William himself, whose title of Conqueror rendered him haughty and inaccessible to his subjects, was so affable to the good Abbot of Bec that he seemed to be another man in his presence. The saint, on his side, was all to all, by courtesy and charity, that he might find occasions of giving everyone some suitable instructions to promote their salvation; which were so much the more effectual as he communicated them, not as some do, with the dictatorial air of a master, but in a simple familiar manner, or by indirect though sensible examples. In the year 1092, Hugh, the great Earl of Chester, by three pressing messages, entreated Anselm to come again into England, to assist him, then dangerously sick, and to give his advice about the foundation of a monastery which that nobleman had undertaken at St. Wereburge’s church at Chester. A report that he would be made archbishop of Canterbury, in the room of Lanfranc, deceased, made him stand off for some time; but he could not forsake his old friend in his distress, and at last came over. He found him recovered, but the affairs of his own abbey, and of that which the earl was erecting, detained him five months in England. The metropolitan see of Canterbury had been vacant ever since the death of Lanfranc in 1089. 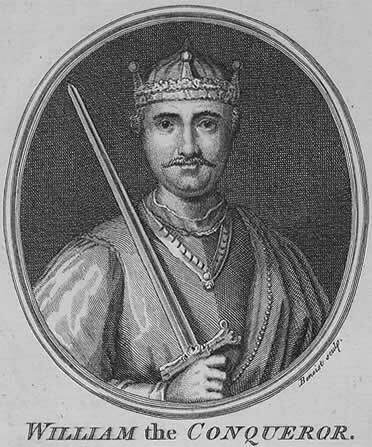 The sacrilegious and tyrannical king, William Rufus, who succeeded his father in 1087, by an injustice unknown till his time, usurped the revenues of vacant benefices, and deferred his permission, or (congé d’elire), in order to postpone the filling of the episcopal sees, that he might the longer enjoy their income. Having thus seized into his hands the revenues of the archbishopric, he reduced the monks of Canterbury to a scanty allowance, oppressing them moreover by his officers with continual insults, threats, and vexations. He had been much solicited by the most virtuous among the nobility to supply the see of Canterbury, in particular, with a person proper for that station; but continued deaf to all their remonstrances and answered them, at Christmas 1093, that neither Anselm nor any other should have that bishopric whilst he lived; and this he swore to by the holy face of Lucca, meaning a great crucifix in the cathedral of that city held in singular veneration, his usual oath. He was seized soon after with a violent fit of sickness, which in a few days brought him to extremity. He was then at Gloucester, and seeing himself in this condition, signed a proclamation, which was published, to release all those that had been taken prisoners in the field, to discharge all debts owing to the crown, and to grant a general pardon; promising likewise to govern according to law and to punish the instruments of injustice with exemplary severity. He moreover nominated Anselm to the see of Canterbury, at which all were extremely satisfied but the good abbot himself, who made all the decent opposition imaginable; alleging his age, his want of health and vigor enough for so weighty a charge, his unfitness for the management of public and secular affairs, which he had always declined to the best of his power. The king was extremely concerned at his opposition, and asked him why he endeavored to ruin him in the other world, being convinced that he should lose his soul in case he died before the archbishopric was filled. The king was seconded by the bishops and others present, who not only told him they were scandalized at his refusal, but added that, if he persisted in it, all the grievances of the church and nation would be placed to his account. Thereupon they forced a pastoral staff into his hands, in the king’s presence, carried him into the church, and sung Te Deum on the occasion. This was on the 6th of March 1093. He still declined the charge till the king had promised him the restitution of all the lands that were in the possession of that see in Lanfranc’s time. Anselm also insisted that he should acknowledge Urban II for lawful pope. Things being thus adjusted, Anselm was consecrated with great solemnity on the 4th of December 1093. 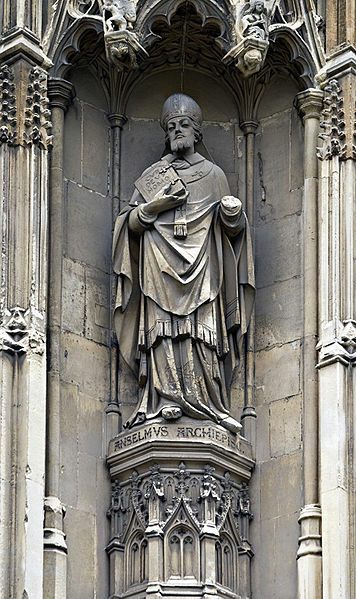 Anselm had not been long in possession of the see of Canterbury when the king, intending to wrest the duchy of Normandy out of the hands of his brother Robert, made large demands on his subjects for supplies. On this occasion, not content with the five hundred pounds (a very large sum in those days) offered him by the archbishop, the king insisted, at the instigation of some of his courtiers, on a thousand, for his nomination to the archbishopric, which Anselm constantly refused to pay; pressing him also to fill vacant abbeys and to consent that bishops should hold councils as formerly, and be allowed by canons to repress crimes and abuses, which were multiplied and passed into custom for want of such a remedy, especially incestuous marriages and other abominable debaucheries. 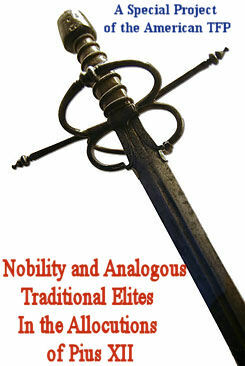 The king was extremely provoked, and declared no one should extort from him his abbeys any more than his crown. And from that day he sought to deprive Anselm of his see. William, Bishop of Durham, and the other prelates, acquiesced readily in the king’s orders, by which he forbade them to obey him as their primate, or treat him as archbishop, alleging for reason that he obeyed Pope Urban during the schism, whom the English nation had not acknowledged. The king, having brought over most of the bishops to his measures, applied to the temporal nobility, and bid them disclaim the archbishop; but they resolutely answered that since he was their archbishop and had a right to superintend the affairs of religion, it was not in their power to disengage themselves from his authority, especially as there was no crime or misdemeanor proved against him. King William then, by his ambassador, acknowledged Urban for true pope, and promised him a yearly pension from England if he would depose Anselm; but the legate whom His Holiness sent told that king that it was what could not be done. St. Anselm wrote to the pope to thank him for the pallium he had sent him by that legate, complaining of the affliction in which he lived under a burden too heavy for him to bear, and regretting the tranquility of his solitude which he had lost. Finding the king always seeking occasions to oppress his church unless he fed him with its treasures, which he regarded as the patrimony of the poor (though he readily furnished his contingent in money and troops to his expeditions and to all public burdens), the holy prelate earnestly desired to leave England, that he might apply in person to the pope for his counsel and assistance. The king refused him twice: and on his applying to him a third time, he assured the saint that, if he left that kingdom, he would seize upon the whole revenue of the see of Canterbury, and that he should never more be acknowledged metropolitan. But the saint, being persuaded he could not in conscience abide any longer in the realm to be a witness of the oppression of the church, and not have it in his power to remedy it, set out from Canterbury in October 1097, in the habit of a pilgrim; took shipping at Dover and landed at Witsan, having with him two monks, Eadmer, who wrote his life, and Baldwin. He made some stay at Cluny with Saint Hugh the abbot, and at Lyons with the good Archbishop Hugh. It not being safe traveling any further towards Rome at that time on account of the antipope’s party lying in the way, and Anselm falling sick soon after, this made it necessary for him to stay longer at Lyons than he had designed. 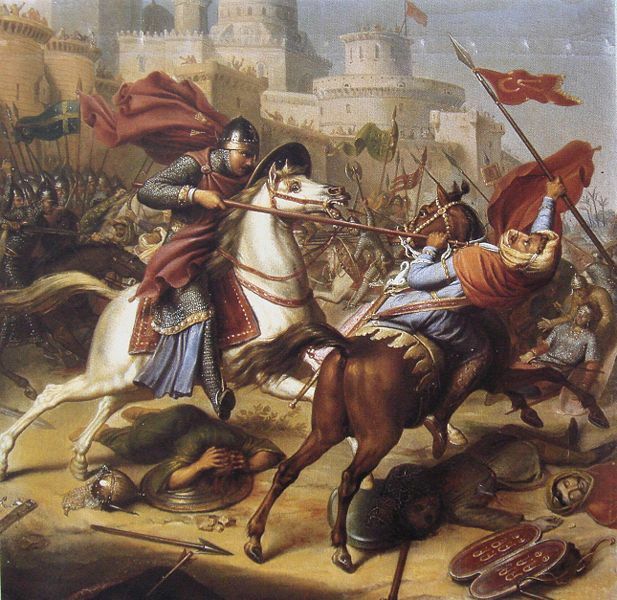 However, he left that city the March following, in 1098, on the Pope’s invitation, and was honorably received by him. His Holiness having heard his cause, assured him of his protection, and wrote to the king of England for his re-establishment in his rights and possessions. Anselm also wrote to the king at the same time; and, after ten days’ stay in the Pope’s palace, retired to the monastery of Saint Savior, in Calabria, the air of Rome not agreeing with his health. Here he finished his work, entitled Why God was made Man, in two books, showing, against infidels, the wisdom, justice, and expediency of the mystery of the Incarnation for man’s redemption. He had begun this work in England, where he also wrote his book, On the Faith of the Trinity and Incarnation, dedicated to Pope Urban II, in which he refuted Roscelin, the master, Peter Abailard, who maintained an erroneous opinion in regard to the Trinity. Anselm, charmed with the sweets of his retirement, and despairing of doing any good at Canterbury, hearing by new instances that the king was still governed by his passions, in open defiance to justice and religion, earnestly entreated the Pope, whom he met at Aversa, to discharge him of his bishopric; believing he might be more serviceable to the world in a private station. The Pope would by no means consent, but charged him upon his obedience not to quit his station: adding, that it was not the part of a man of piety and courage to be frightened from his post purely by the dint of browbeating and threats, that being all the harm he had hitherto received. Anselm replied, that he was not afraid of suffering, or even losing his life in the cause of God; but that he saw there was nothing to be done in a country where justice was so overruled as it was in England. However, Anselm submitted and in the mean time returned to his retirement, which was a cell called Slavia, situated on a mountain, depending on the monastery of Saint Savior. That he might live in the merit of obedience, he prevailed with the Pope to appoint the monk Eadmer, his inseparable companion, to be his superior, nor did he do the least thing without his leave. The Pope having called a council, which was to meet at Bari, in October 1098, in order to effect a reconciliation of the Greeks with the Catholic Church, ordered the saint to be present at it. It consisted of one hundred and twenty-three bishops. The Greeks having proposed the question about the procession of the Holy Ghost, whether this was from the Father only, or from the Father and the Son; the disputation being protracted, the Pope called aloud for Anselm, saying, “Anselm, our father and our master, where are you?” And causing him to sit next to him, told him that the present occasion required his learning and elocution to defend the church against her enemies, and that he thought God had brought him thither for that purpose. Anselm spoke to the point with so much learning, judgment, and penetration that he silenced the Greeks and gave such a general satisfaction that all present joined in pronouncing anathema against those that should afterwards deny the procession of the Holy Ghost from both the Father and the Son. This affair being at an end, the proceedings of the King of England fell next under debate. And on this occasion his simony, his oppressions of the church, his persecution of Anselm, and his incorrigibleness, after frequent admonitions, were so strongly represented that the Pope, at the instance of the council, was just going to pronounce him excommunicated. Anselm had hitherto sat silent, but at this he rose up, and casting himself on his knees before the Pope, entreated him to stop the censure. And now the council, who had admired our saint for his parts and learning, were further charmed with him on account of his humane and Christian dispositions in behalf of one that had used him so roughly. The saint’s petition in behalf of his sovereign was granted; and on the council breaking up, the Pope and Anselm returned to Rome. The Pope, however, sent to the king a threat of excommunication, to be issued in a council to be shortly after held at Rome, unless he made satisfaction: but the king, by his ambassador, obtained a long delay. Anselm stayed some time at Rome with the Pope, who always placed him next in rank to himself. All persons, even the schismatics, loved and honored him; and he assisted with distinction at the council of Rome, held after Easter, in 1099. Immediately after the Roman council he returned to Lyons, where he was entertained by the archbishop Hugh, with all the cordiality and regard imaginable; but saw no hopes of recovering his see so long as king William lived. Here he wrote his book, On the Conception of the Virgin, and On Original Sin resolving many questions relating to that sin. The archbishop of Lyons gave him in all functions the precedence, and all thought themselves happy who could receive any sacrament from his hands. Upon the death of Urban II, he wrote an account of his case to his successor, Pascal II. King William Rufus being snatched away by sudden death, without the sacraments, on the 2nd of August 1100, St. Anselm, who was then in the abbey of Chaize-Dieu, in Auvergne, lamented bitterly his unhappy end and made haste to England, whither he was invited by King Henry I. He landed at Dover on the 23rd of September and was received with great joy and extraordinary respect. And having in a few days recovered the fatigue of his journey, went to wait on the king, who received him very graciously. But this harmony was of no long continuance. The new king required of Anselm to be reinvested by him, and do the customary homage of his predecessors for his see; but the saint absolutely refused to comply and made a report on the proceedings of the late synod at Rome, in which the laity that gave investitures for abbeys or cathedrals were excommunicated; and those that received such investitures were put under the same censure. But this not satisfying the king, it was agreed between them to consult the Pope upon the subject. Robert, Duke of Normandy, returning from the Crusade, claimed the crown of England and threatened to invade the land. 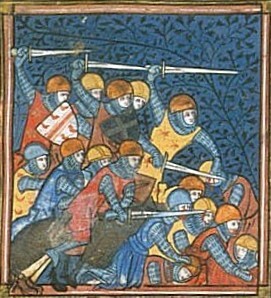 The court in the meantime was very much alarmed at the preparations making by the king’s elder brother, Robert, Duke of Normandy, who, being returned from the holy war in Palestine, claimed the crown of England and threatened to invade the land. The nobles, though they had sworn allegiance to Henry, were ready to join him; and on his landing with a formidable army at Portsmouth, several declared for the duke. The king being in great danger of losing his crown, was very liberal in promises to Anselm on this occasion; assuring him that he would henceforward leave the business of religion wholly to him, and be always governed by the advice and orders of the Apostolic See. Anselm omitted nothing on his side to prevent a revolt from the king. Not content with sending his quota of armed men, he strongly represented to the disaffected nobles the heinousness of their crime of perjury; and that they ought rather lose their lives than break through their oaths and fail in their sworn allegiance to their prince. He also published an excommunication against Robert, as an invader, who thereupon came to an accommodation with Henry and left England. And thus, as Eadmer relates, the archbishop, strengthening the king’s party, kept the crown upon his head. Amidst his troubles and public distractions, he retired often in the day to his devotions, and watched long in them in the night. At his meals, and at all times, he conversed interiorly in heaven. One day, as he was riding to his manor of Herse, a hare, pursued by the dogs, ran under his horse for refuge; at which the saint stopped and the hounds stood at bay. The hunters laughed, but the saint said, weeping, “This hare puts me in mind of a poor sinner just upon the point of departing this life, surrounded with devils waiting to carry away their prey.” The hare going off, he forbade her to be pursued and was obeyed, not a hound stirring after her. In like manner every object served to raise his mind to God, with whom he always conversed in his heart, and, in the midst of noise and tumult, he enjoyed the tranquility of holy contemplation—so strongly was his soul sequestered from, and raised above, the world. 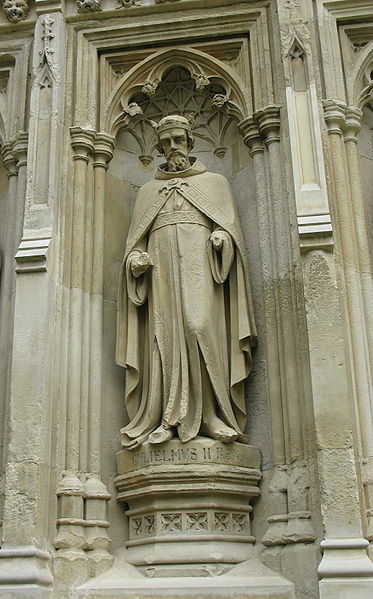 King Henry, though so much indebted to Anselm, still persisted in his claim of the right of giving the investitures of benefices. Anselm, in 1102, held a national council in Saint Peter’s church at Westminster, in which, among other things, it was forbidden to sell men like cattle, which had till then been practiced in England; and many canons relating to discipline were drawn up. He persisted to refuse to ordain bishops, named by the king, without a canonical election. The contest became every day more serious. At last the king and nobles persuaded Anselm to go in person and consult the Pope about the matter: the king also sent a deputy to His Holiness. The saint embarked on the 27th of April in 1103. Pope Pascal II condemned the king’s pretensions to the investitures and excommunicated those who should receive church dignities from him. Saint Anselm being advanced on his return to England as far as Lyons, received there an intimation of an order from King Henry, forbidding him to proceed on his journey home unless he would conform to his will. He therefore remained at Lyons, where he was much honored by his old friend the Archbishop Hugh. 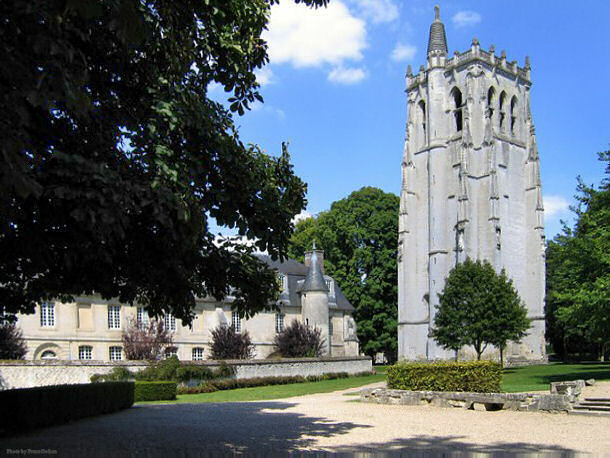 From thence he retired to his abbey of Bec, where he received from the Pope a commission to judge the cause of the Archbishop of Rouen, accused of several crimes. He was also allowed to receive into communion such as had accepted investitures from the crown, which, though still disallowed of, the bishops and abbots were so far dispensed with as to do homage for their temporalities. The king was so pleased with this condescension of the Pope that he sent immediately to Bec to invite Saint Anselm home in the most obliging manner, but a grievous sickness detained him. The king coming over into Normandy in 1106, articles of agreement were drawn up between him and the archbishop at Bec, pursuant to the letter Saint Anselm had received from Rome a few months before; and the Pope very readily confirmed the agreement. In this expedition Henry defeated his brother Robert, and sent him prisoner into England, where he died. Saint Anselm hereupon returned to England in 1106, and was received by the Queen Maud, who came to meet him, and by the whole kingdom of England, as it were in triumph. The last years of his life, his health was entirely broken. Having for six months labored under an hectic decay, with an entire loss of appetite, under which disorder he would be carried every day to assist at Holy Mass, he happily expired, laid on sackcloth and ashes, at Canterbury, on the 21st of April 1109, in the sixteenth year of his episcopal dignity, and of his age the seventy-sixth. He was buried in his cathedral. By a decree of Clement XI, in 1720 he is honored among the doctors of the church. We have authentic accounts of many miracles wrought by this saint in the histories of Eadmer and others. St. Anselm had a most lively faith of all the mysteries and great truths of our holy religion; and by the purity of his heart, and an interior divine light, he discovered great secrets in the holy scriptures, and had a wonderful talent in explaining difficulties which occur in them. His hope for heavenly things gave him a wonderful contempt and disgust of the vanities of the world, and he could truly say with the apostle, he was crucified to the world, and all its desires. By an habitual mortification of his appetite in eating and drinking he seemed to have lost all relish in the nourishment which he took. His fortitude was such, that no human respects, or other considerations, could ever turn him out of the way of justice and truth; and his charity for his neighbor seemed confined by no bounds: his words, his writings, his whole life breathed forth this heavenly fire. He seemed to live, says his faithful disciple and historian, not for himself, but for others; or rather so much the more for himself by how much the more profitable his life was to his neighbors, and faithful to his God. The divine love and law were the continual subjects of his meditations day and night. He had a singular devotion to the passion of our Lord, and to his Virgin mother. Her image at Bec, before which, at her altar, he daily made long prayers while he lived in that monastery, is religiously kept in the new sumptuous church. His horror of the least sin is not to be expressed. In his Proslogium, meditations, and other ascetic works, the most heroic and inflamed sentiments of all these virtues, especially of compunction, fear of the divine judgments, and charity, are expressed in that language of the heart which is peculiar to the saints. 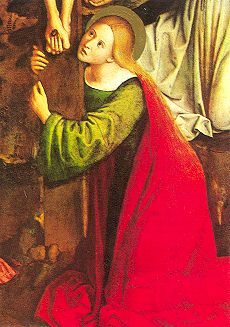 Saint Mary Magdalene, you came with springing tears to the spring of mercy, Christ; from him your burning thirst was abundantly refreshed through him your sins were forgiven; by him your bitter sorrow was consoled. And, more than all this, what can I say, how can I find words to tell, about the burning love with which you sought him, weeping at the sepulcher, and wept for him in your seeking? O love to be wondered at; O evil to be shuddered at; you hung on the wood, pierced by iron nails, stretched out like a thief for the mockery of wicked men; and yet, ‘Woman,’ you say, ‘why are you weeping?’ She had not been able to prevent them from killing you, but at least she longed to keep your body for a while with ointments lest it decay. For she had seen with her own eyes – if she could bear to look – what cruel men cruelly did to you; and now all that was left of you from their hands she thinks she has lost. And so it is; for love’s sake he cannot bear her grief for long or go on hiding himself. For the sweetness of love he shows himself who would not for the bitterness of tears. I think, or rather I am sure, that she responded to the gentle tone with which he was accustomed to call, ‘Mary’. What joy filled that voice, so gentle and full of love. But how should I, in misery and without love, dare to describe the love of God and the blessed friend of God? Such a flavor of goodness will make my heart sick if it has in itself nothing of that same virtue. I want your love to burn in me as you command so that I may desire to love you alone and sacrifice to you a troubled spirit, ‘a broken and a contrite heart’. Shake my heart out of its indolence, Lord, and in the ardor of your love bring me to the everlasting sight of your glory where with the Father and the Holy Spirit you live and reign, God, for ever. Amen.